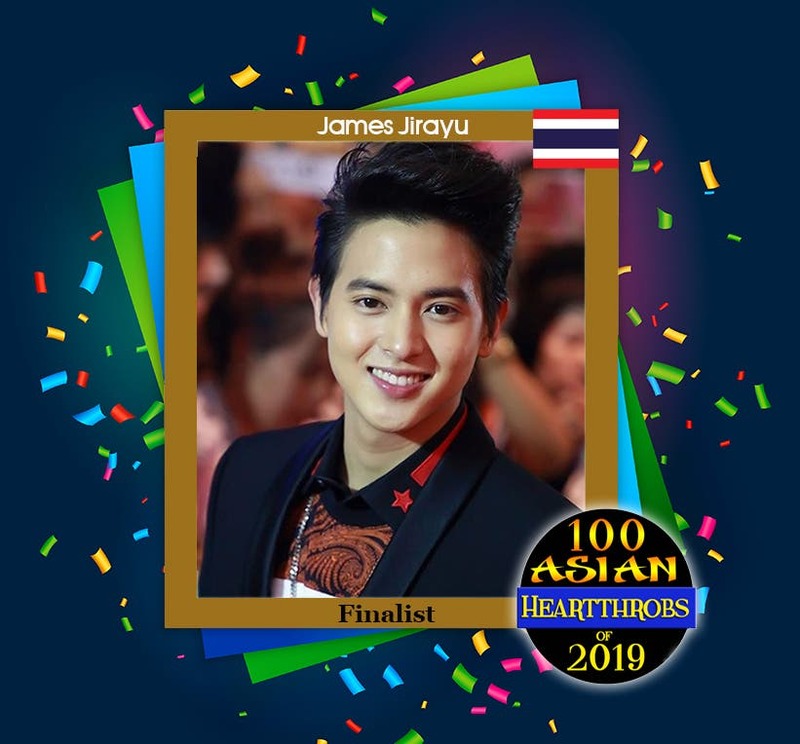 Model/Actor James Jirayu from Thailand emerged as the sixth finalist in “100 Asian Heartthrobs 2019” by winning our Group 6 poll! The 25-year-old lakorn star garnered a total of 36,721 votes beating seven other nominees in Group 6 by 44.19% He will compete in our final poll starting February 3, 2019. Placing second in Group 6 is Mick Thongraya of Thailand who got 30,156 votes. In third place is Darren Chen of Taiwan who received 6,012 votes. Both Mick and Darren will compete in the first of the two wildcard rounds happening on January 25, 2019 (tomorrow). 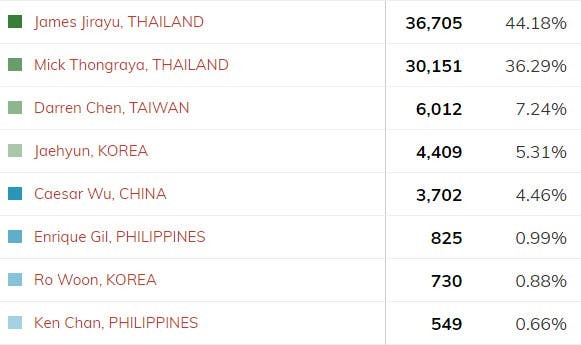 No longer in the running for the title are Jaehyun of Korea, Caesar Wu of China, Enrique Gil of the Philippines, Ro Woon of Korea, and Ken Chan of the Philippines.